Sunora Foods Inc. is a Calgary, Alberta, Canada based food oil entity trading and supplying canola oil, corn oil, soybean oil, olive oil and specialty oils to markets located in Canada, the United States and Internationally. Sunora has been active since 1990, and operates under the names “Sunora”, “Sunera” and numerous private label brands. Sunora was listed on the TSX Venture Exchange in December 2013, and trades under the symbol “SNF”. In addition to mainstream food oils Sunora is recognized for its expeller extracted and organic oils. Sunora’s organic products are certified by Quality Assurance International, a leading certifier of organic products. Sunora products are designed for retail, food service and food processing applications. Packaged food oil is available in both metric and United States sizes. Sunora products are designed for retail, food service and food processing applications. Drummed oil and bulk products are available for food processors. Unauthorized use of our “Sunora,” “Sunera” and “Sunya” brand names is strictly prohibited. Any packaging, advertising or web sites incorporating our brand names without our consent, such as the one for so-called Sunora Foods India, is illegal and should be scrupulously avoided. Any unauthorized use of our brand names, including the purchase of products illegally incorporating our brand names, will be prosecuted to the full extent of the law. Canola is an oilseed crop which, in North America, is grown primarily in regions of Western Canada. While Sunora has mostly traded bulk soybean oil, in everything from drums to railcars, we have also frequently packed off some of our soybean oil. Sunora brands of corn oil include Sunya, Sunera, Sunora and various private labels. 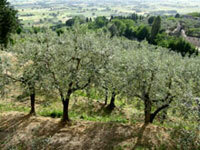 Sunora Foods offers Organic & Expeller oils, Olive oils and Olive oil blends. © copyright 2019, Sunora Foods, all rights reserved.